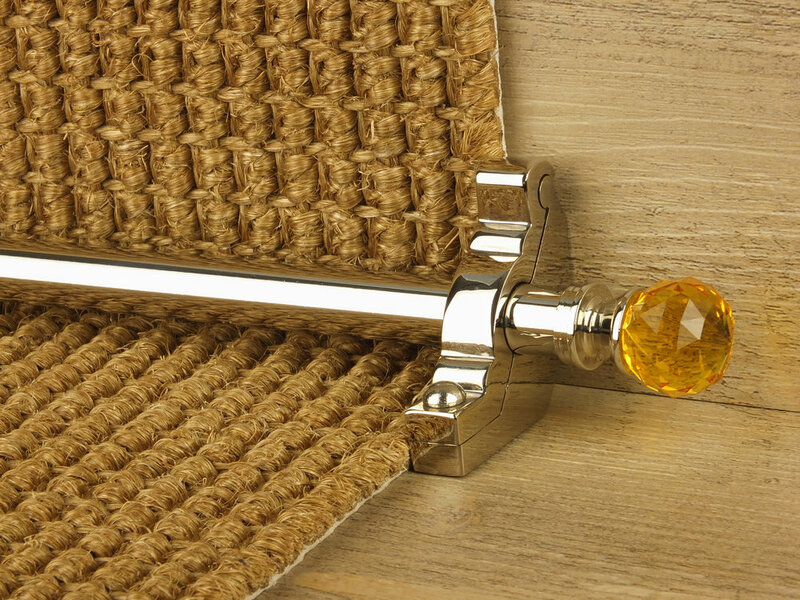 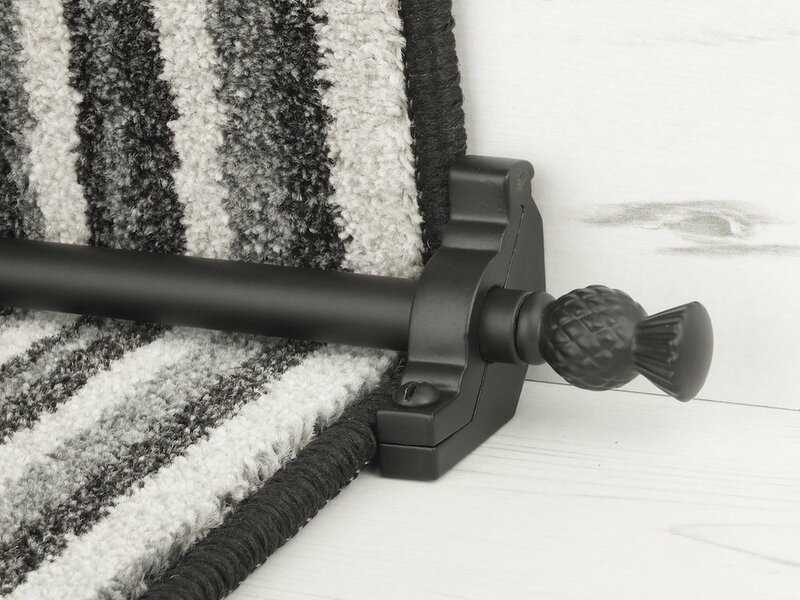 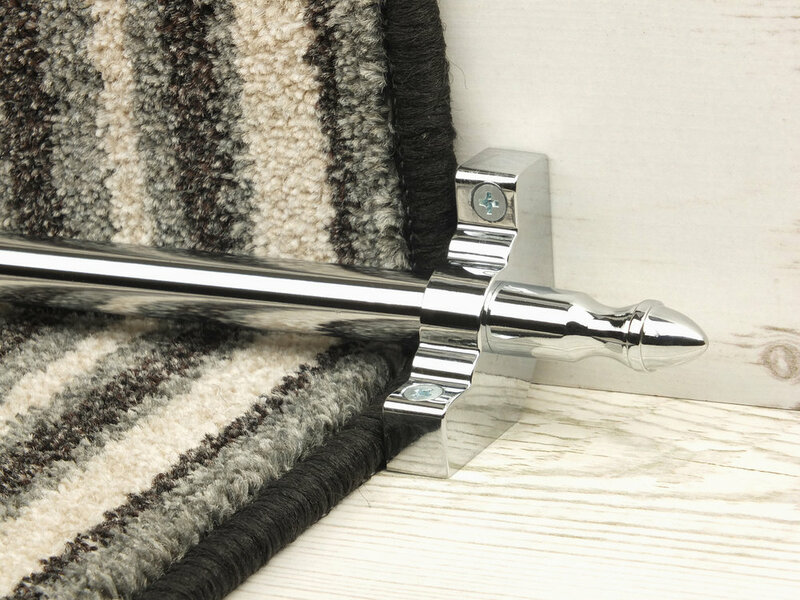 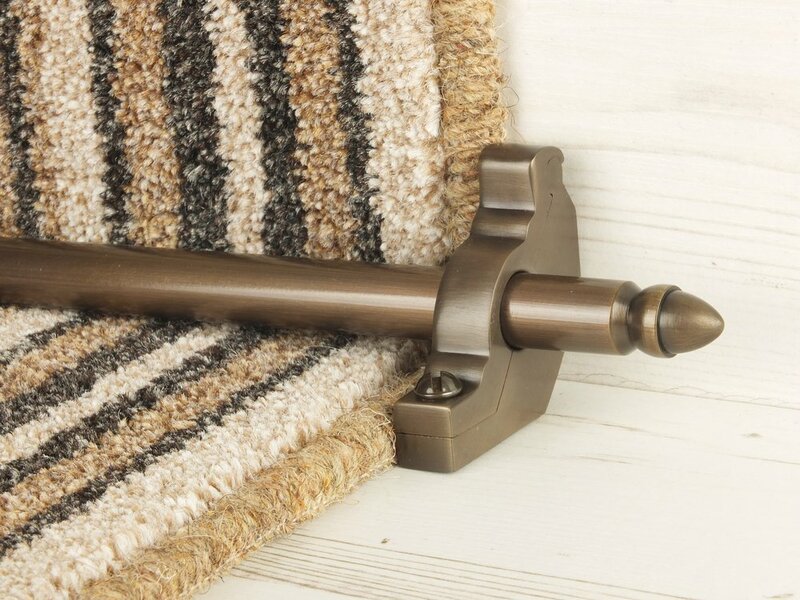 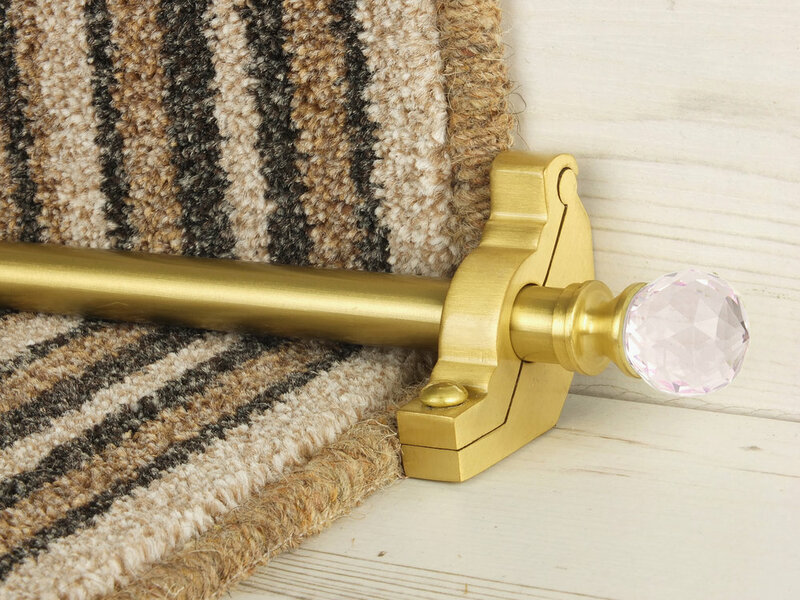 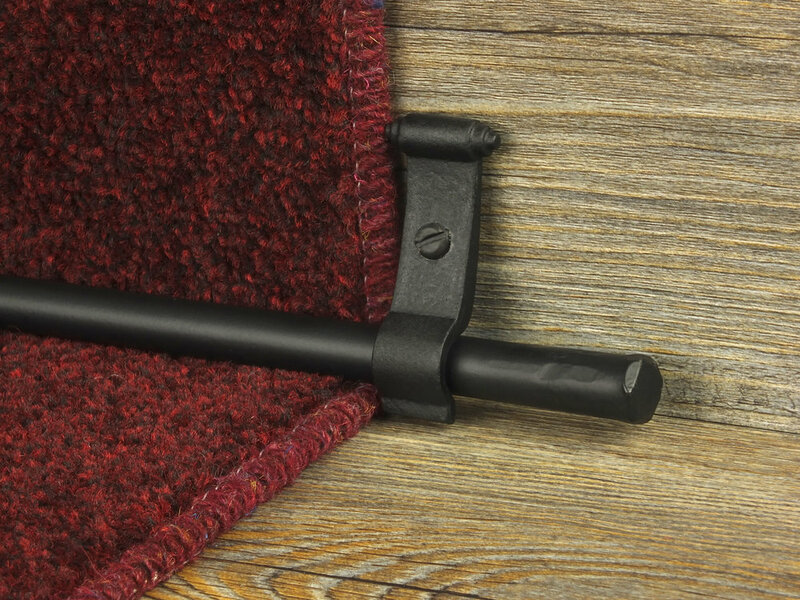 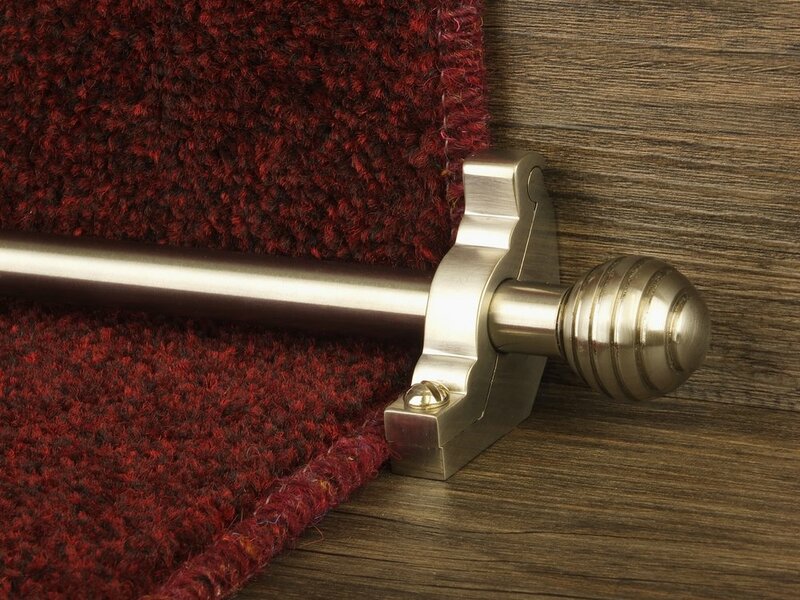 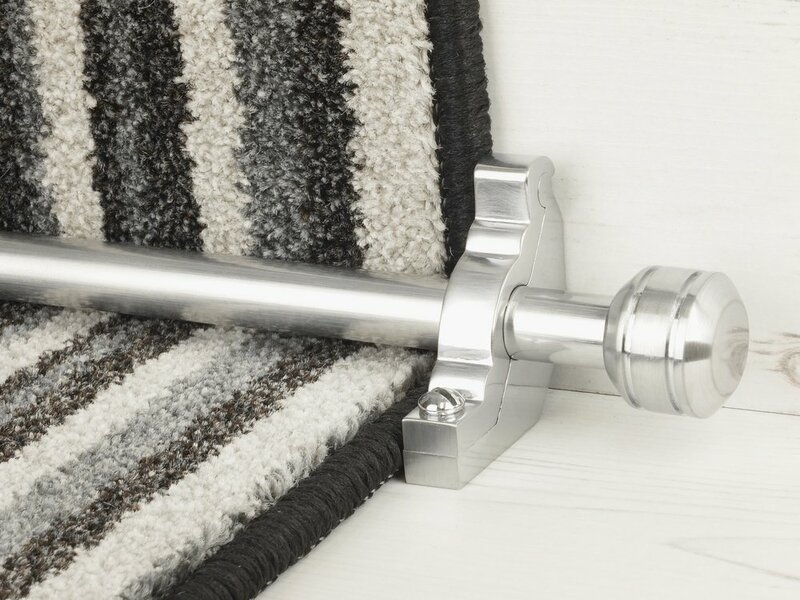 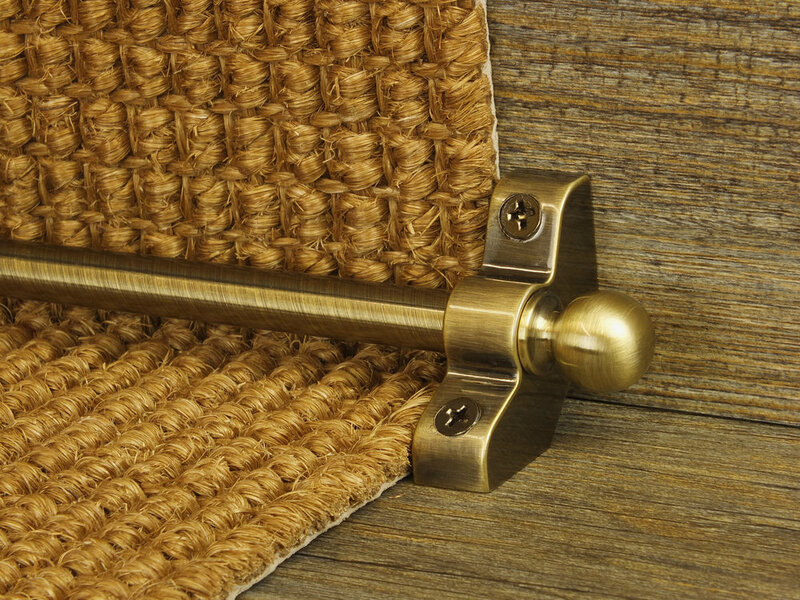 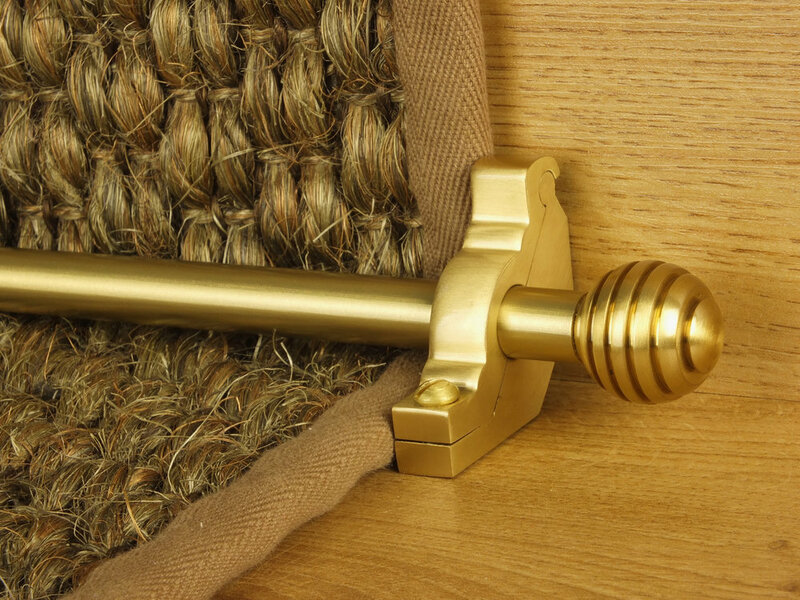 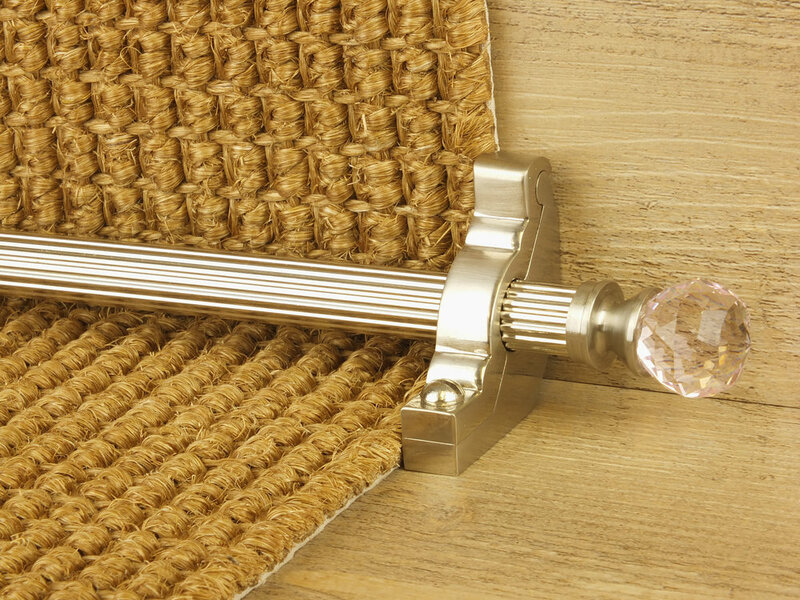 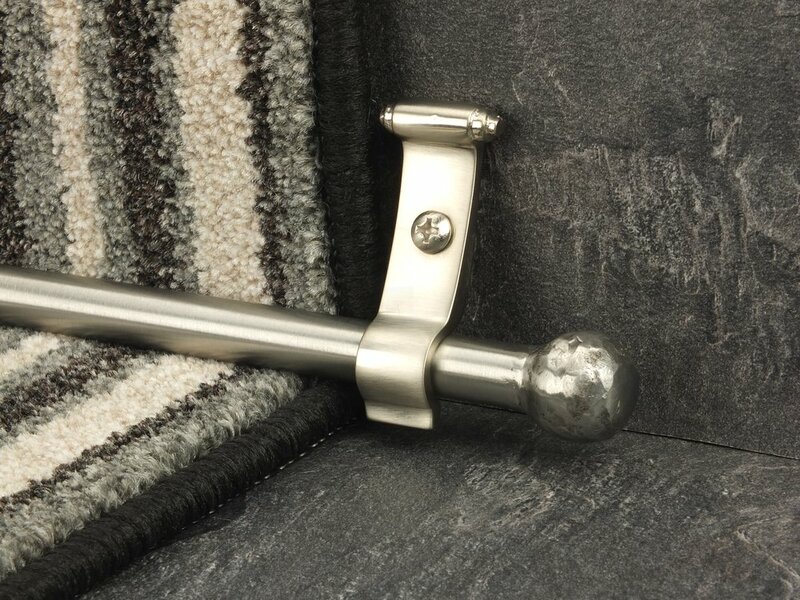 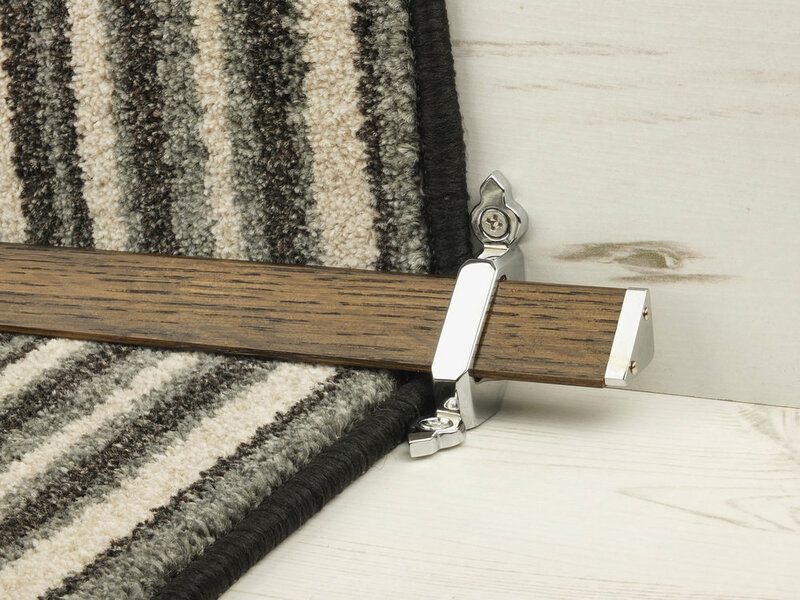 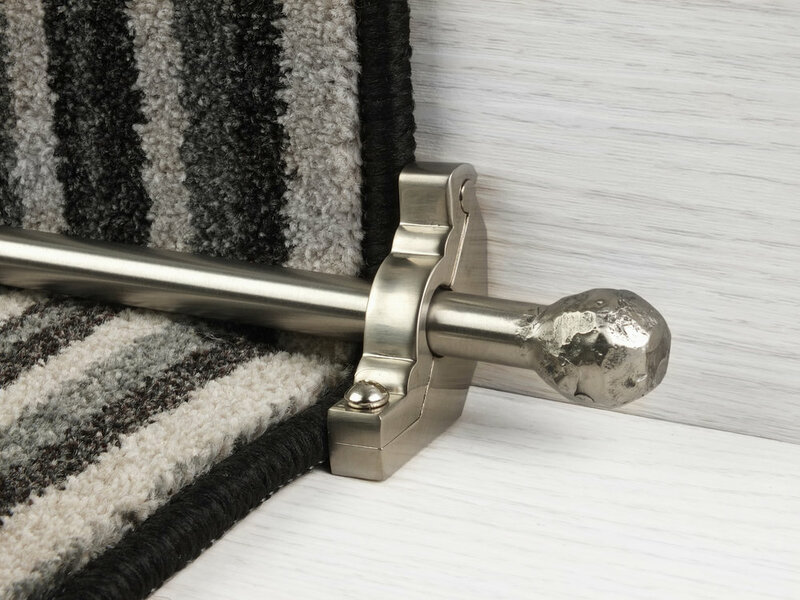 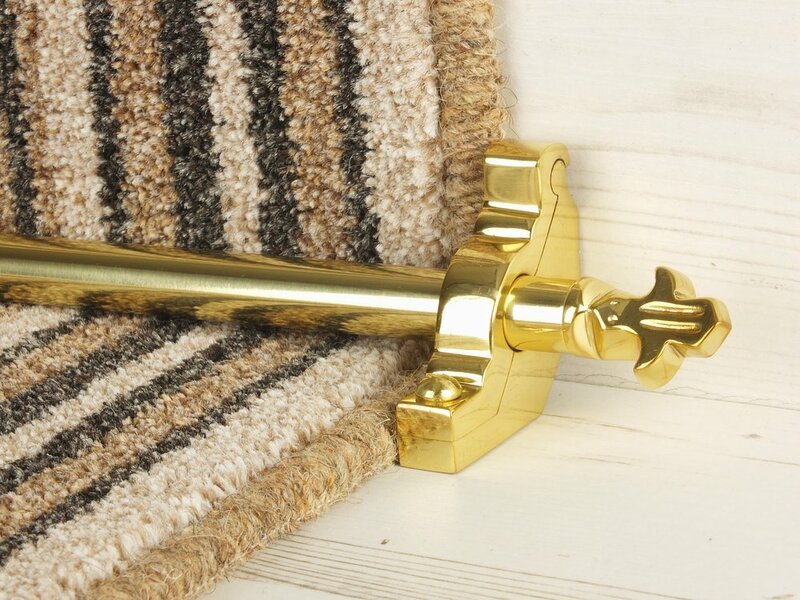 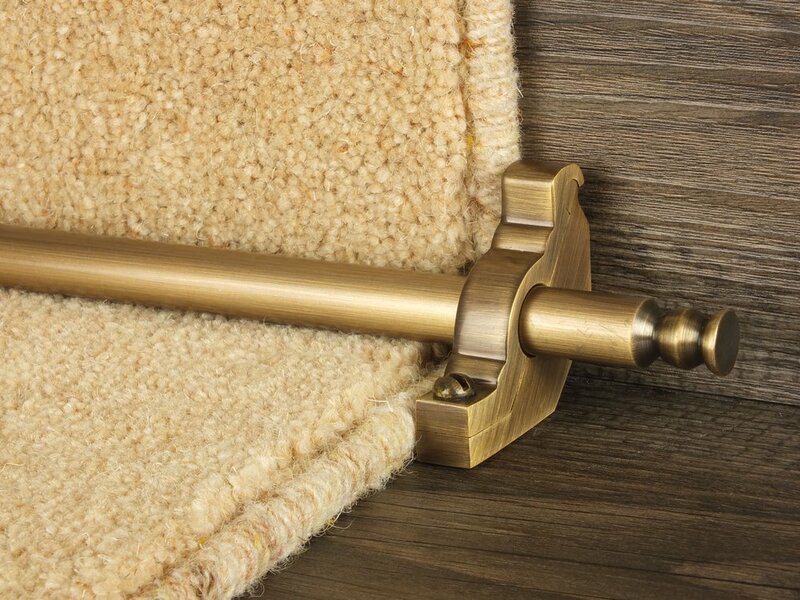 The Royale rods should be 6"/15cm over the width of the carpet runner (3"/7.5cm each side). 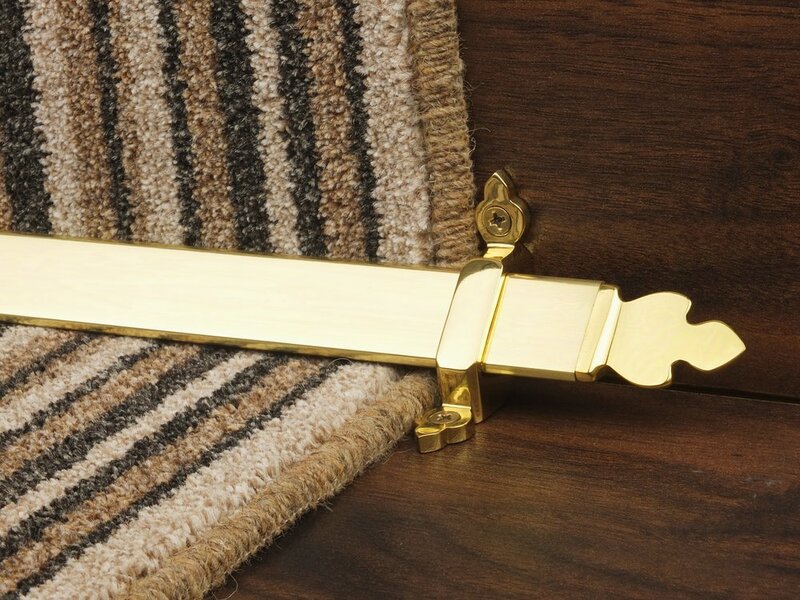 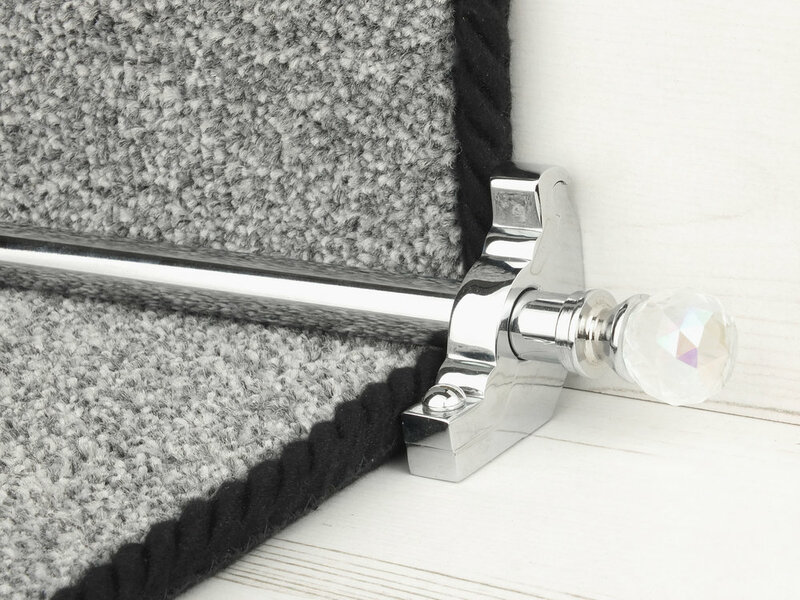 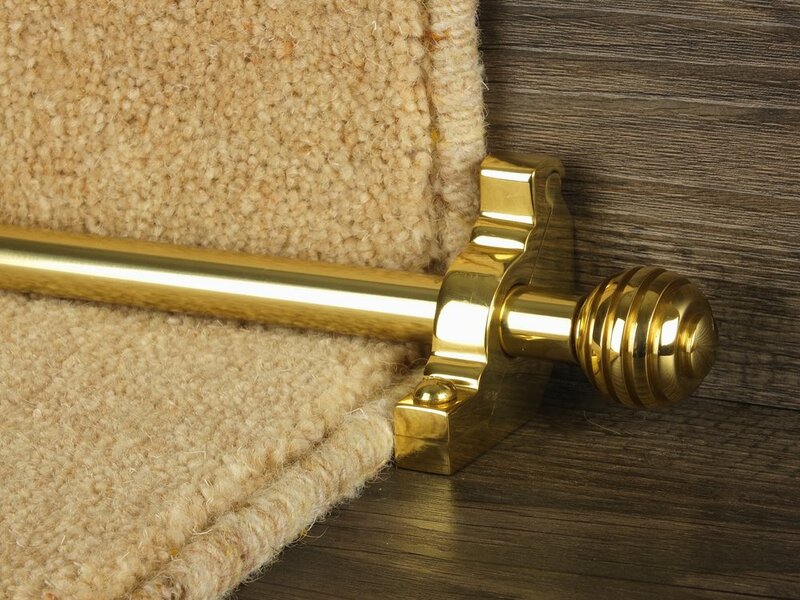 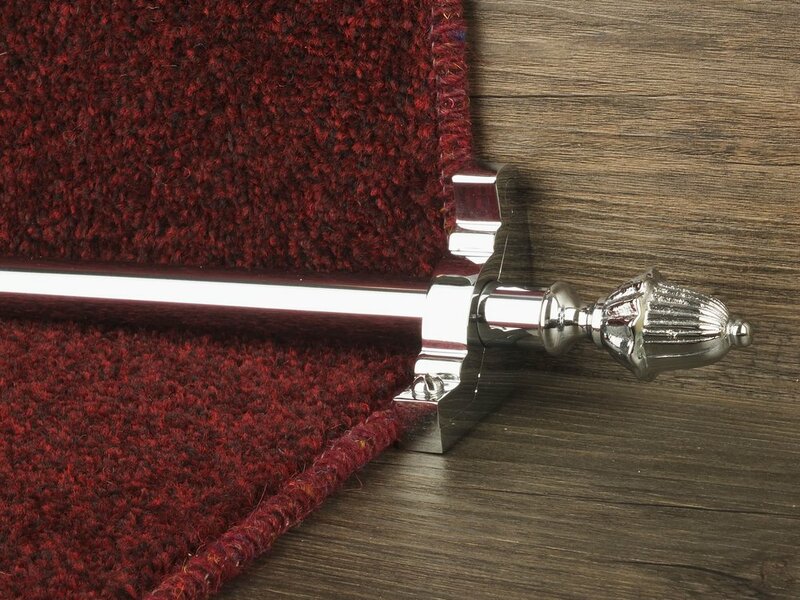 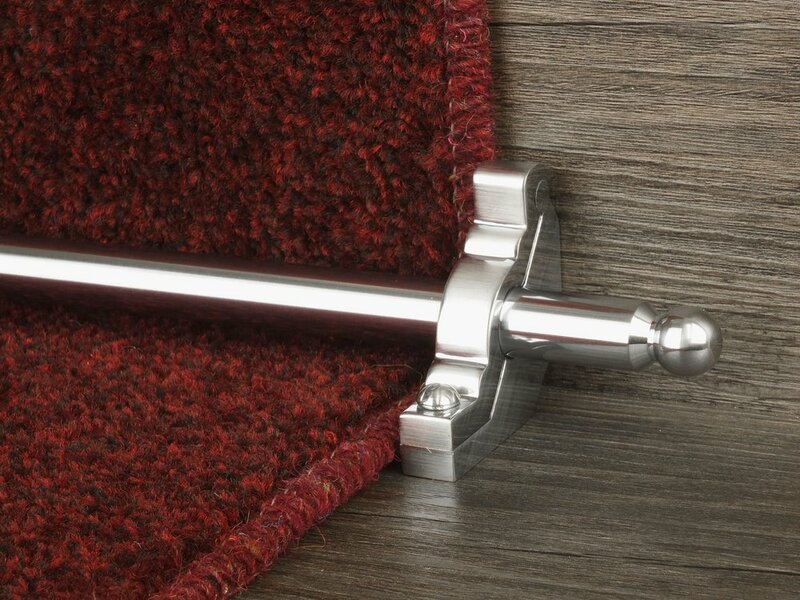 The Royale Vue can be measured as 4"/10cm over the width of the carpet runner (2"/5cm each side) as it's simply a flat end. 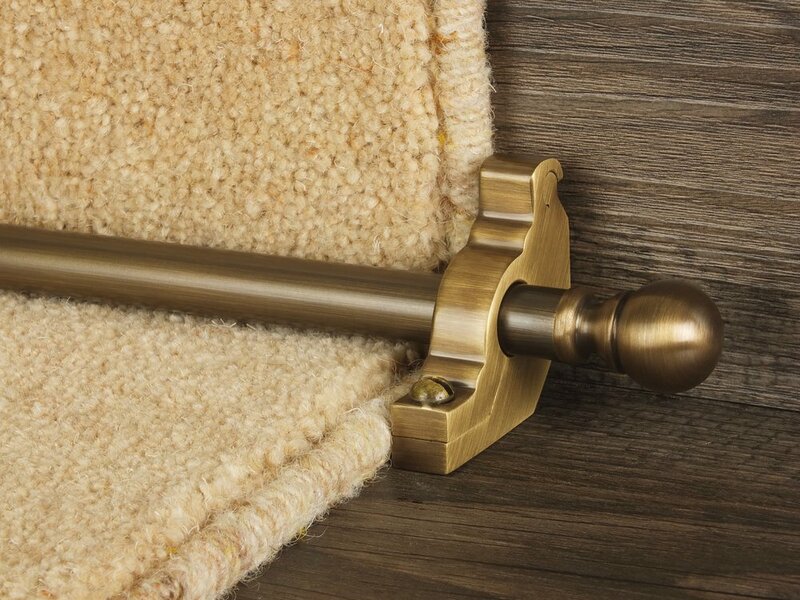 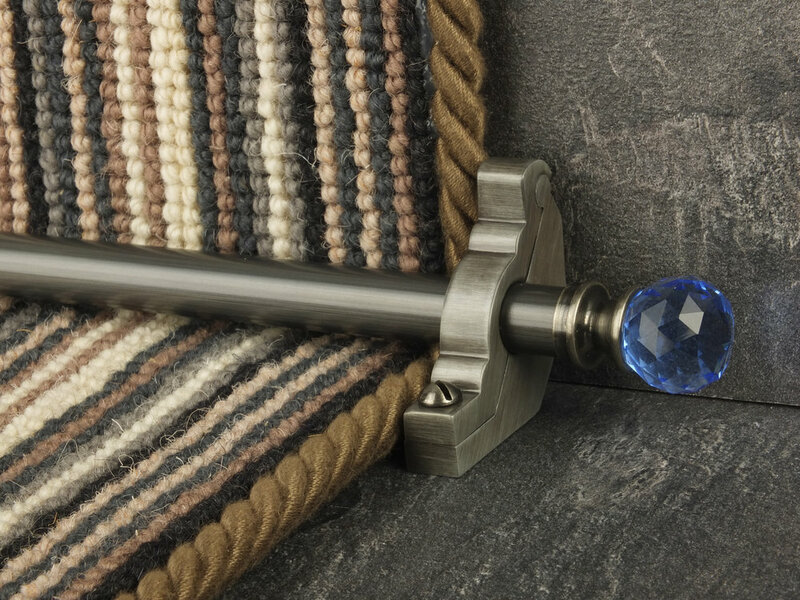 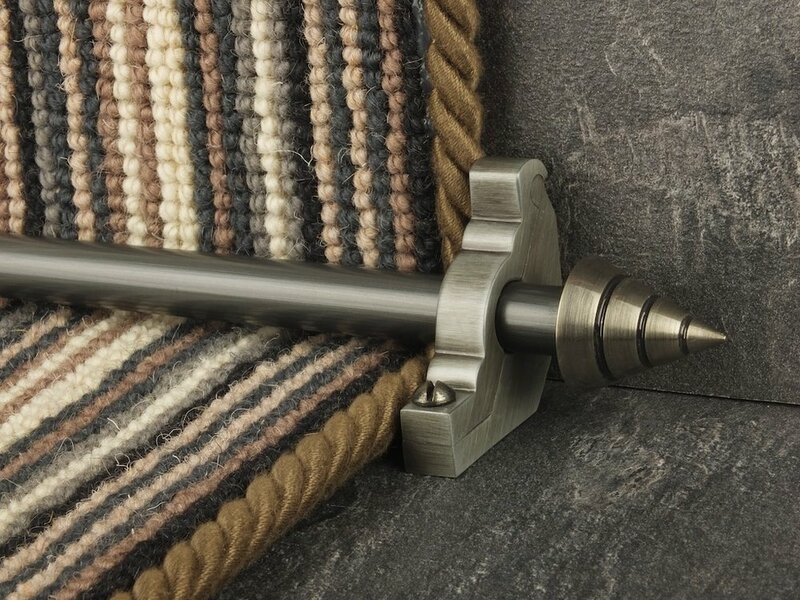 We normally suggest fitting a stair rod on the bottom step to balance the look of the stair case.